When researching doggie daycare or pet boarding facilities, you might find some that exclude specific breeds or “types” of dogs. Often these breeds are “bully” breeds (pit bulls, American bulldogs) or herding breeds (Australian shepherds). The reasons for these exclusions differ. Some doggie daycare programs will say that they’ve banned bully breeds due to “insurance reasons,” implying that their insurance company has told them they can’t take bully breeds. When it comes to herding breeds, they suggest that these breeds don’t do well at doggie daycare or in group play at a pet boarding facility. This reason for this explanation seems to really be that either their space or their staff cannot safely respond to the herding behavior of the dog. At Pet Camp we like to say “we discriminate based on the dog not the breed.” Pet Camp is of course fully licensed and insured, and we’ve never been told by our insurance company that we can’t have specific breeds at doggie daycare or in group play. The key to these breeds, frankly, is the same as the key to successfully working with any breed; you need to know the innate characteristics of the breed, the specific behaviors of the individual dog, AND have the trained staff and correct physical environment in which these dogs will thrive. Is every individual dog the right candidate for group play at doggie daycare or lodging and boarding? Of course not. This is one of the reasons we developed our Ranger Program that focuses on training and agility, but at the same time just because your dog is one breed or another doesn’t mean that it’s not the right candidate either. 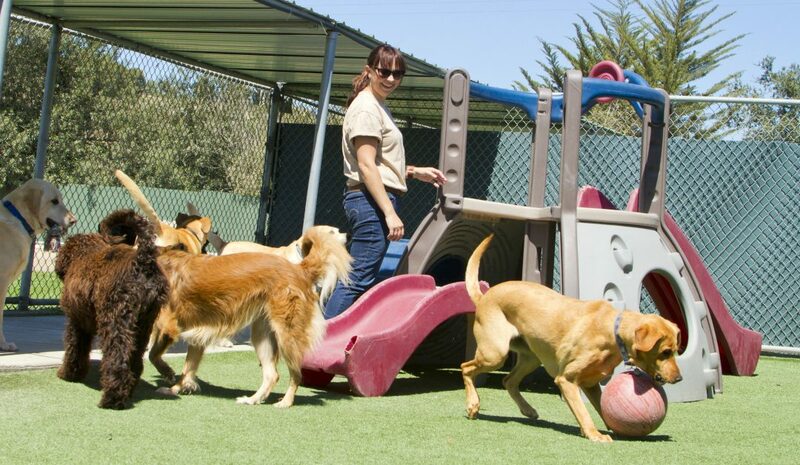 If you have specific questions about your dog and group play at overnight or doggie daycare, give us a callat 415 282 0700 and we’ll discuss the pros and cons of various play options to develop something just for your dog.